JYJ’s Junsu talked about his ‘Genie Time’ that has been settled as one of the events during his concerts. 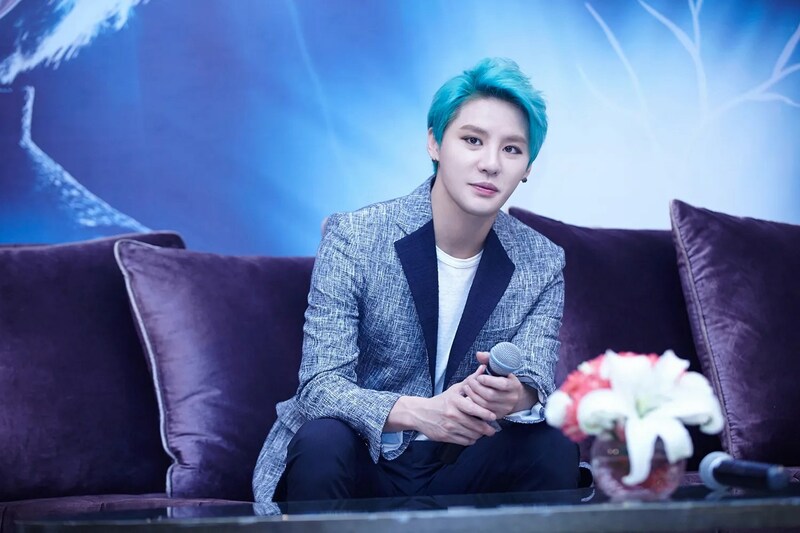 On March 21, Junsu held a press conference for his tour concert “2015 XIA 3rd Asia Tour Concert in Thailand ‘Flower'” at Thailand Bangkok Rebua At State Tower, where he talked about his feelings ahead of the concert and the behind-story for preparing his 3rd full-length album ‘Flower’. Junsu released his third full-length album ‘Flower’ on March 3. With his concerts in Osaka, Seoul, and Shanghai, Junsu met 48,000 fans in total. Meanwhile, Junsu will continue his Asia tour in Tokyo, Japan on March 24-26. Orange, red, and blue green this time. Junsu’s hair color is always colorful. But, if you listen to his words attentively, you could know it’s not because of only his style or dressing up. He told ‘Being easy can be poison as he has the limit to appear on TV music programs’. Is it only applied to his looks? From each song of his new album to his various tour concert.. He always devotes his energy to be new and various. Kim Jun-su, a member of K-pop boy group JYJ, held a solo concert on Saturday at Bangkok’s large concert hall Thunder Dome as part of his Asia tour, which kicked off early this month. The 28-year-old singer recently held a concert in Shanghai where he met around 3,000 local fans before he left for Thailand on Friday.